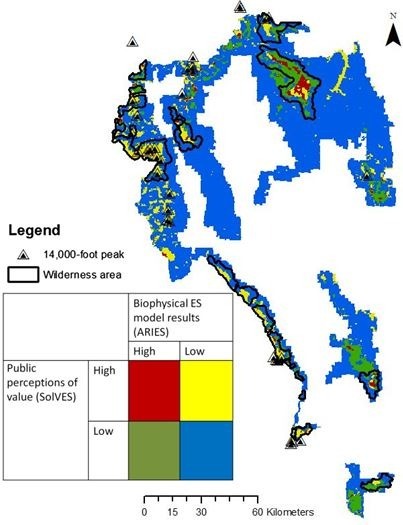 Highlights: Novel research on social-ecological hotspots mapping using biophysically modeled ecosystem services derived using ARIES and cultural ecosystem services mapped using SolVES. Colorado’s Rocky Mountains provide well-recognized benefits through water supply to the Platte, Arkansas, Rio Grande, and Colorado Rivers and recreational visits to millions of acres of National Forest and National Park lands. Similarly, the Bridger-Teton and Shoshone national forests in northwest Wyoming form the headwaters of the Snake, Green, and Wind/Bighorn rivers, and are critical ecological components of the Greater Yellowstone Ecosystem. Key management challenges include fire management after almost a century of fire suppression, outbreaks of mountain pine beetle, which have killed large numbers of lodgepole and ponderosa pines, resulting in changes to forest structure, and the impacts of climate change on snowpack. By mapping ecosystem service provision and beneficiaries, we can better illustrate management tradeoffs in these charismatic ecosystems. We combine maps generated using ARIES for four ecosystem services with cultural ecosystem services mapped using the Social Values for Ecosystem Services (SolVES) tool (Sherrouse et al. 2011) for six national forests in Colorado and Wyoming. Using spatial statistical methods, we map hotspots and coldspots of these services, which have different implications for managing public lands. Bagstad, K.J., D.J. Semmens, Z.H. Ancona, and B.C. Sherrouse. In press. Evaluating alternative methods for biophysical and cultural ecosystem services hotspot mapping in natural resource planning. Forthcoming in: Landscape Ecology. Bagstad, K.J., J. Reed, D. Semmens, B. Sherrouse, and A.R. Troy. 2016. 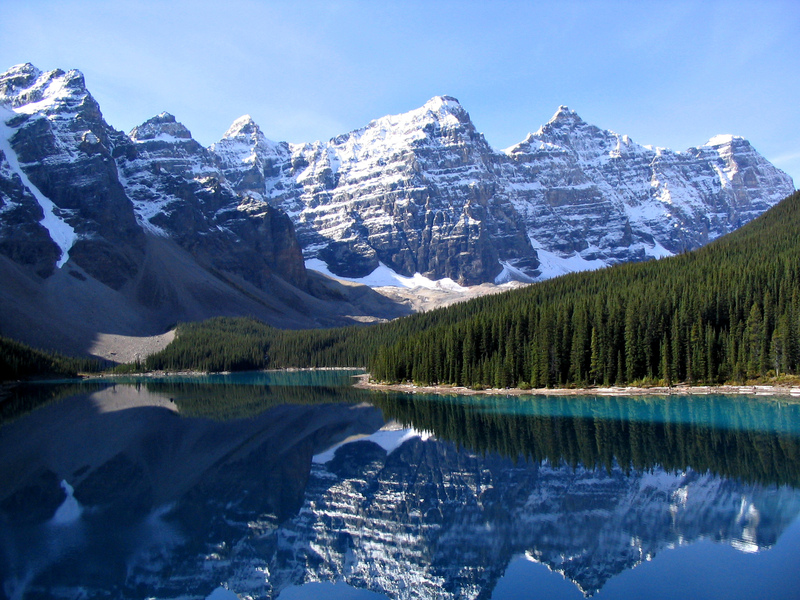 Linking biophysical models and public preferences for ecosystem service assessments: A case study for the Southern Rocky Mountains. Regional Environmental Change 16(7):2005-2018. Sherrouse B.C., J.M. Clement, and D.J. Semmens. 2011. A GIS application for assessing, mapping, and quantifying the social values of ecosystem services. Applied Geography 31:748-760. Management implications of biophysical and cultural ecosystem service hotspots and coldspots. Biophysical and cultural ecosystem service hotspots for the Pike-San Isabel National Forest, Colorado.